Would you like to make dreams come true? That is what we do at CTR and you can be a part of it! 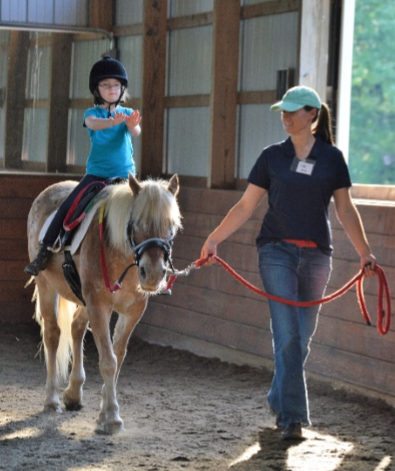 Through our programs, children and adults with differing abilities experience life-changing interactions with horses and enhance their well-being through the development of riding, social and life skills. School children develop stronger reading, math, and science skills while learning about horses. Buttons, the Shetland pony and CTR ambassador, brings joy to the elderly in assisted living and long-term care facilities. Veterans find peace and acceptance in the quiet connection with CTR horses. 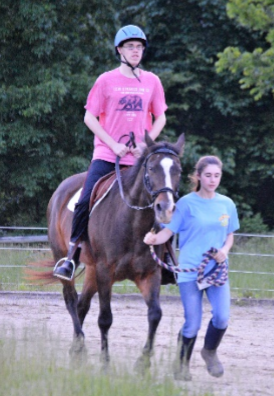 Gold Star families share and heal through equine activities. We at CTR, have truly enjoyed our first year at our “forever farm”! We celebrated our 15th Anniversary in September and have just launched our first program with the Veteran’s Administration. That has been years in the making! We have increased partnerships and developed programs with organizations such as the Harford County Public Library, Celebree Learning Centers, The Harford Center, The Arc Northern Chesapeake Region, The Goddard School, Citizens Care, and Arrow Child and Family Ministries. We provide internships for students from Towson University, Stevenson University, and the University of Delaware. 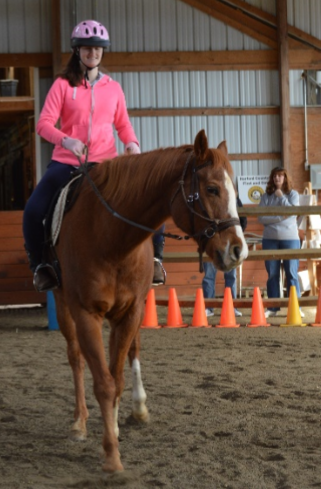 We have added three new horses and two new instructors to handle the increase in programming. Last but not least, it has been wonderful to have the ability and opportunity to grow as Harford County’s first and only Horse Discovery Center. Our accomplishments this year are many, but there is so much more to do and many more people to serve! Everyone has dreams and we want to continue to make as many of those dreams come true as possible. To do so, we need your help! 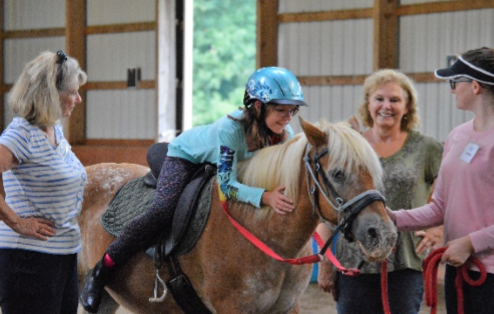 Your financial contribution supports us in connecting some of the most vulnerable people in our community with horses and adaptive/educational programming. We hear first-hand from those we serve that our our programs provide hope, meaning, connectedness, peace, joy and more… all the stuff dreams are made of! The potential is limitless, but we need your support to continue to grow our programs and expand our services. You can be a part of making dreams come true by making a donation today. You have the power to change lives! “Brandon and Ryan started riding at CTR back in January of 2016. 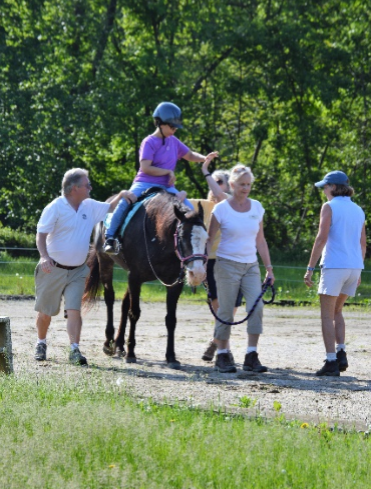 I had heard about therapeutic riding several years ago, but when I first inquired about the program at CTR there was a waiting list for services. A few years later fate stepped in. The boys were selected for LISS funding and I soon discovered the social program I had wanted to utilize had discontinued operations. I immediately thought of Cathy and the CTR program and called about any openings. 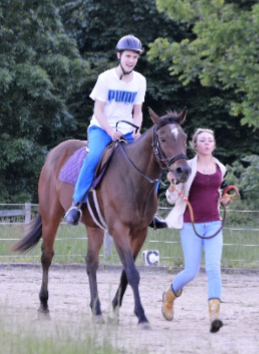 Within a few days the boys had visited the farm and could not wait to start riding. The boys have loved the program from the first day. From the warm-up stretches to the games they play during the lesson to the cool down, they are both totally focused on the lesson and their horse. The boys say ‘playing games’ is their favorite part and ‘riding each horse’ since they are all different.